All I have to say is, "Right on, Voddie!" Ligonier Ministries is offering many of R.C. 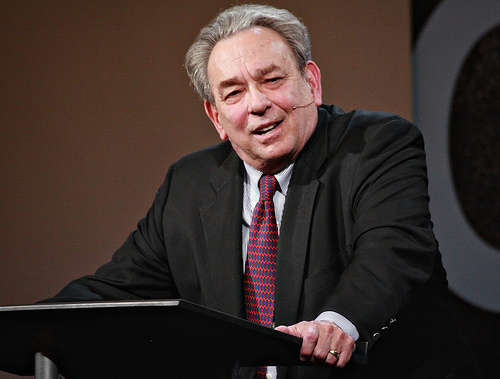 Sproul's audio and video teaching series online for free here. 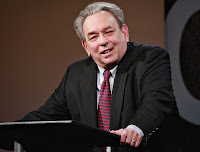 The many series available for free include his classic Biblical and theological teaching on being chosen by God, the holiness of God, the providence of God, justification by faith alone, and the Trinity. There are also many series available on apologetic issues. You will definitely want to check out these free resources from one of this country's greatest Reformed teachers. The word translated revive is the piel of חָיָה (ḥāyāh), which means to “preserve, keep alive … [or] bring (back) to life” (Holladay #2491, BibleWorks). Thus the Psalmist feels as though he is dying and thus needs reviving, although we shall see in verse 28 that he appears actually to be extremely distressed or depressed. Thankfully, however, he knows that the answer to his woes is to be found in seeking the Lord in prayer and in His Word. And he also knows he needs to abandon control of his own life to the Lord, as the next verses make clear. When the Psalmist says that he has declared his ways, he seems to mean that he has confessed his own sinful ways to God (see also vs. 29). But as with all true confession and repentance, the Psalmist is not satisfied unless he learns to follow the right way. Thus he asks God to teach him and to give him understanding of His Word as he meditates on it. Perhaps the depression the man is experiencing is due to God's discipline for his sins, but whatever the reason, the answer is found in trusting the Lord to speak to him through His Word and thus to help him turn his life around. At any rate the NIV translation of the opening line as “My soul is weary with sorrow” is a poor one because it misses the metaphor of the soul as “melting away in the trickling down of tears” (Keil & Delitzsch, e-Sword). It is also possible that the Psalmist has in mind hypocrisy in general, which is the way the ESV seems to take the verse when it translates the opening line, “Put false ways far from me.” Either way, it is easy to see why he says what he says in the next verse. The Psalmist has not only chosen to put lying behind him with God's help, he has also chosen to live his life according to God's truth and to keep it before Him. This is what the metaphor of walking in a particular way means. It means that one has chosen to live in a particular way. In this case, it reflects the choice to live in the way of truth as found in God's Word. This recalls his earlier desire to understand and meditate on God's Word and on His works revealed therein (vs. 27). Here some modern versions – in their desire to avoid repetitious language – translate this word with different English words and actually miss a key emphasis of the author (see, e.g., the NIV and NASB). But in this instance, at least, the NKJV does better by translating the Hebrew word the same way in both places, enabling us to see how the author applies the remedy to the specific problem mentioned earlier. In this way the Psalmist shows us that the remedy for a soul that clings to the dust is to cling just as tightly to God's Word! How sad it is when we neglect God's Word in our times of sorrow and depression! The Psalmist no doubt felt the same temptation, which is why he resolves in this psalm not to neglect God's Word and constantly asks for God's help to understand it, to meditate on it, and to live faithfully according to it. I think this is also why the Psalmist cries out, “O LORD, do not put me to shame!” He does not want to experience the shame that will come from abandoning God's way and God's Word in the midst of his depression. Apparently, the only thing worse for him than the terrible sorrow he is feeling would be to falter in his walk with God and in his witness for God. Here the Psalmist seems to have in mind the idea that God will enlarge his heart so that it will be big enough to take in all the teaching of His Word and so that it will increase in its ability to live in accordance with it. The point the Psalmist is making here is clear enough, namely that he will be very successful navigating the course of his life in accordance with God's Word because he knows God will help him by giving him the heart to do so. This, he believes, will be the best medicine for his depression, a life lived in increasing faithfulness to God. I hope we will learn the same lesson. I hope we will learn that, especially when we are depressed, our greatest need is to seek God in prayer and ask His mercy and help to depend upon His Word rather than allowing our our feelings or circumstances to distract us from it. I found this video quite powerful and though-provoking. Let me know what you all think.